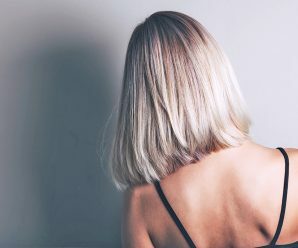 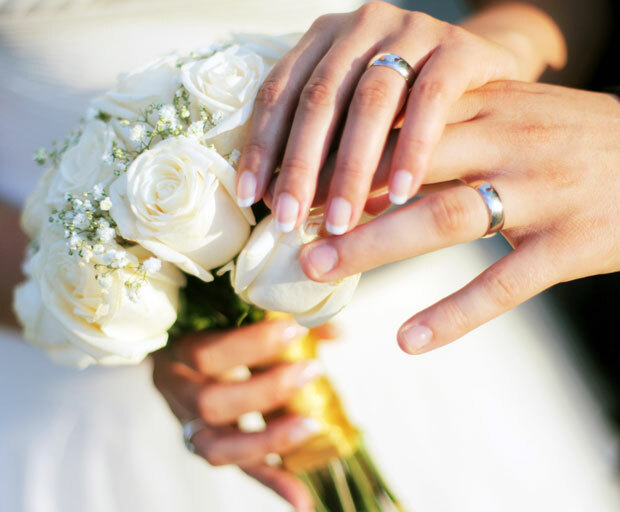 Most people get married in their late 20s and early 30s: and while you may be lucky to have a steady income by that time, chances are you’re still pretty short on cash. 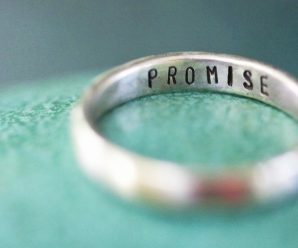 So a wedding can be a real financial hurdle, especially when you have a huge family and big circle of friends expecting invites, and hate the idea of eloping. 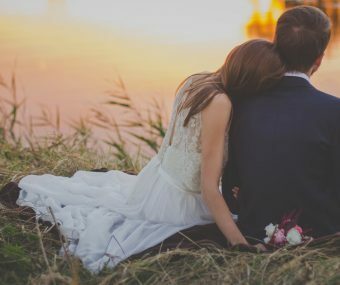 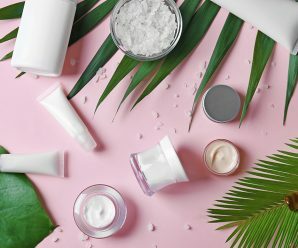 It makes sense to spend the bulk of your wedding budget on the big things, such as the venue, dress, and photographer, and go cheaper for things you can actually make yourself, like centrepieces, photo backdrops, and cake toppers. 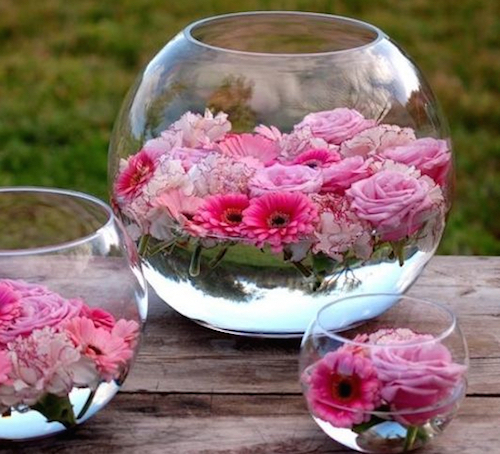 Flower centrepieces can easily be the most expensive part of your wedding, unless you DIY them using nothing but a bowl of water and flowers. 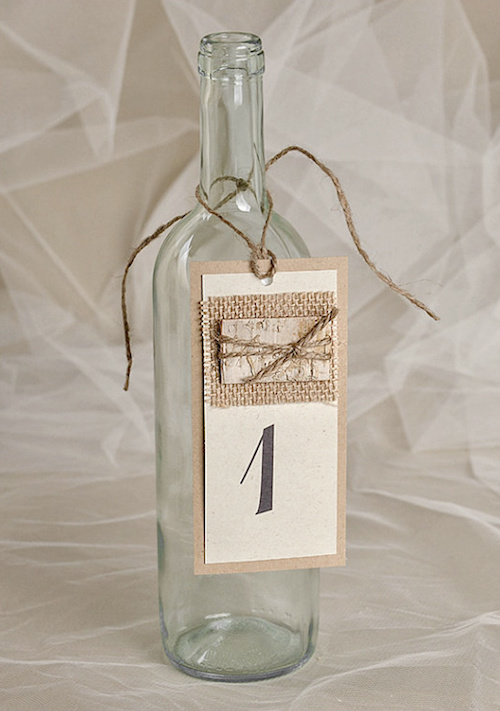 Start collecting your empty wine bottles to create these simple and rustic table numbers. 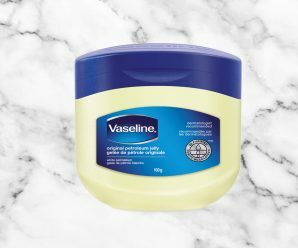 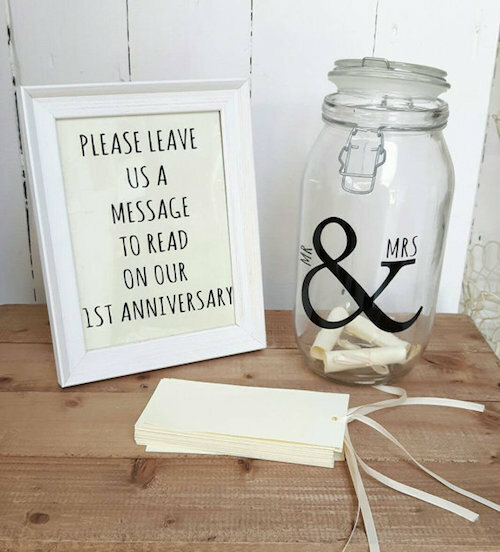 Not only is this wish jar super budget friendly, but it’s also a gift that keeps on giving as your friends’ messages will make you smile a year after your wedding. 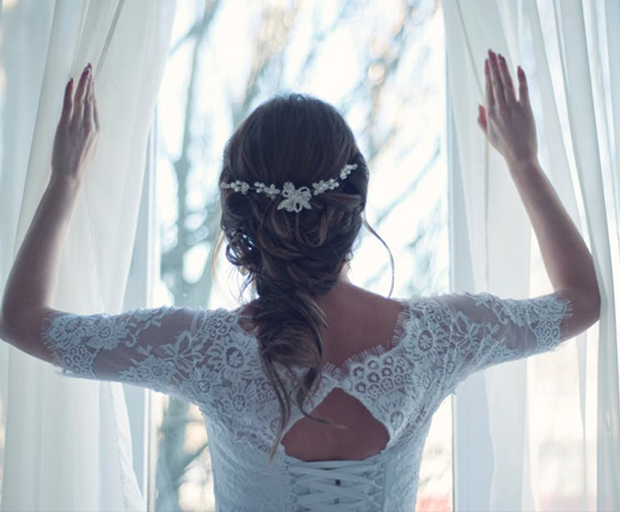 Whether you put these whimsical light jars on tables or use them to guide the way to the reception, they’re an extremely affordable but impactful wedding decoration. 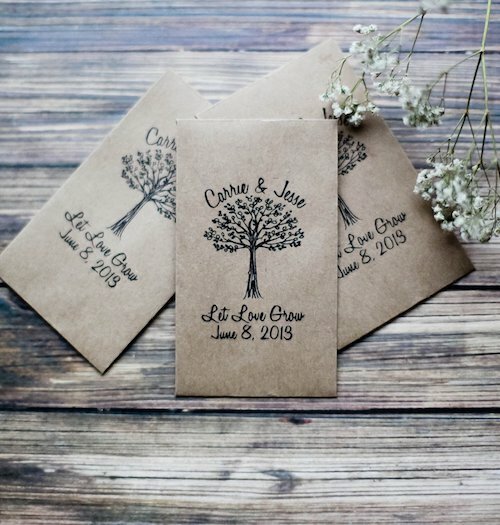 Most cake toppers are pretty, but quite impersonal as well as damn pricey. 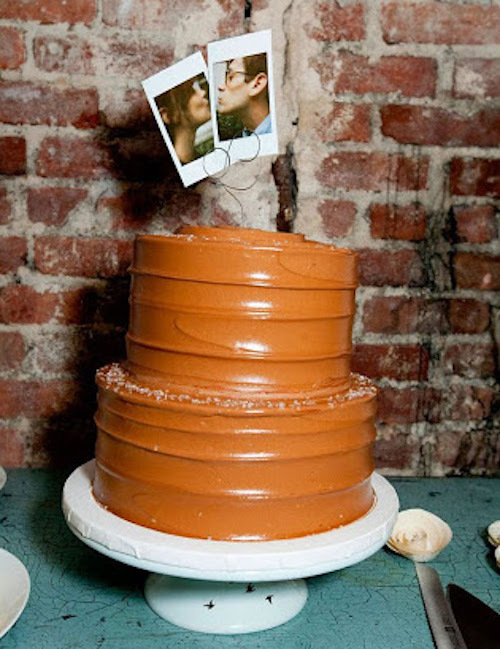 This polaroid cake topper is budget-friendly, easy to make, and super cute. 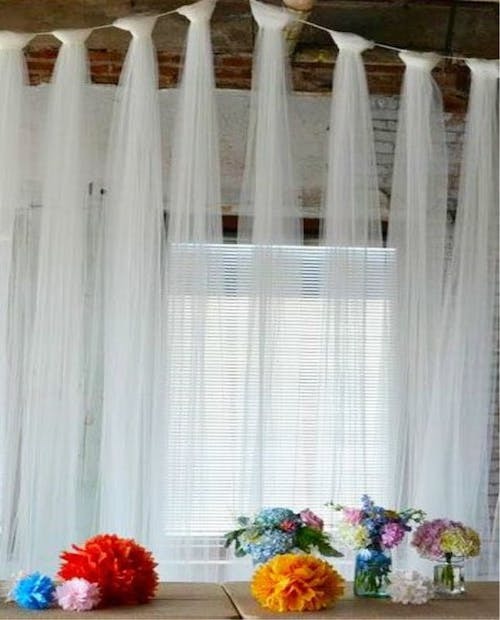 If your venue lacks warmth and coziness, tying tulle curtains to a rope to cover boring or ugly walls will make one hell of a difference. 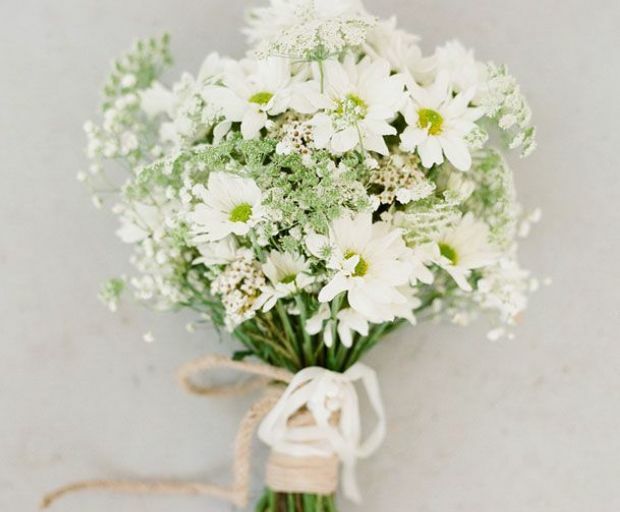 Favors can break the budget when there’s a lot of guests, so why not give small sachets with seeds of your fave flower – it’s meaningful and affordable. 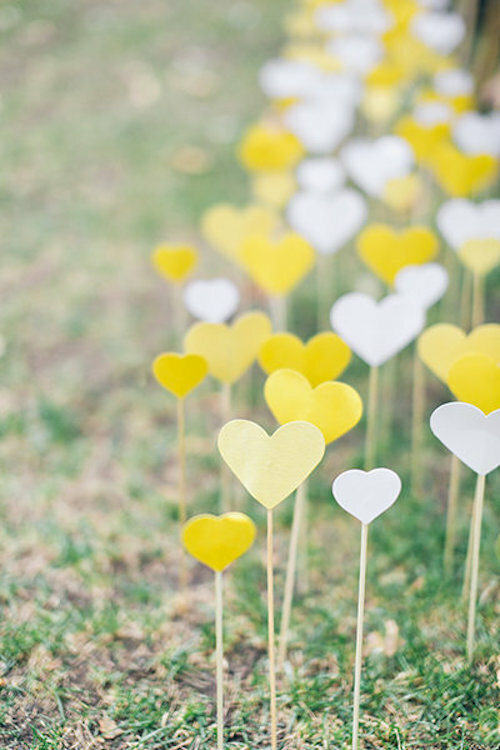 Outdoor weddings don’t need a heavy fabric aisle runner, instead, DIY some paper hearts and stick them into the ground for a cheap but pretty aisle. 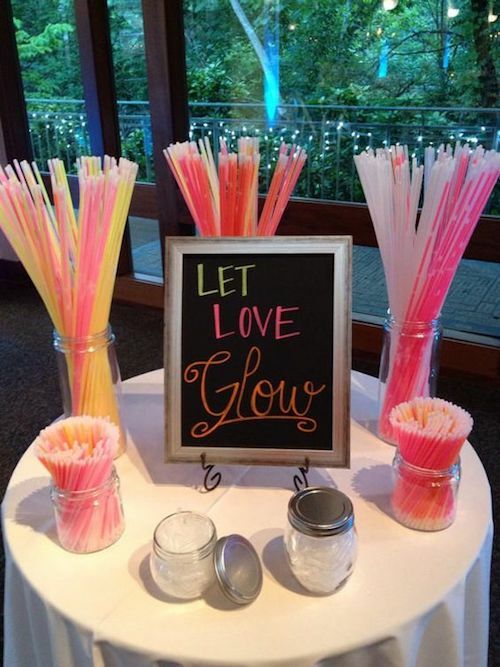 Glow sticks are a fab budget wedding idea to keep guests entertained and create fantastic photo ops as guests will no doubt be taking pictures all glowed up. 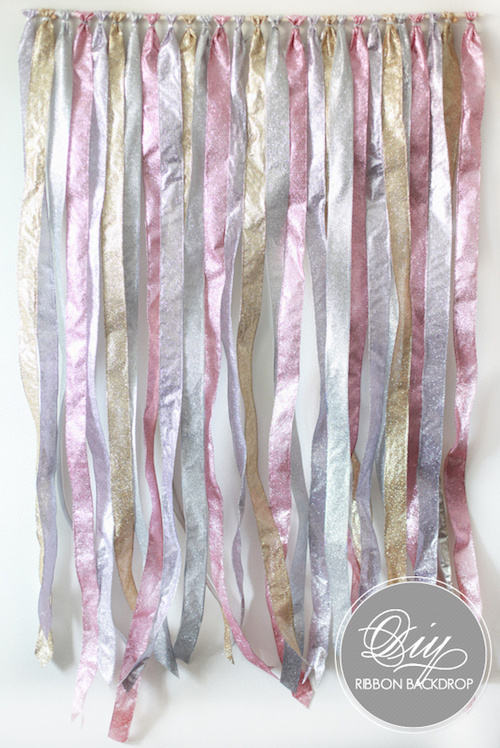 Photo booths are expensive AF, so to save a few grand, why not create this easy and affordable ribbon backdrop for your guests to pose in front of. 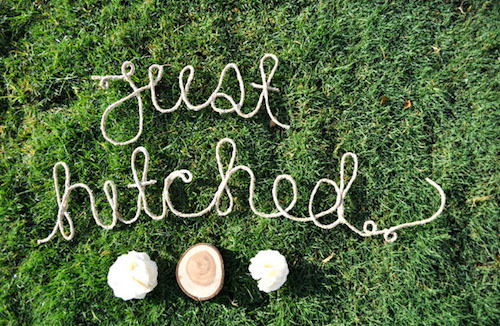 Forget expensive signs and instead, say it with rope. 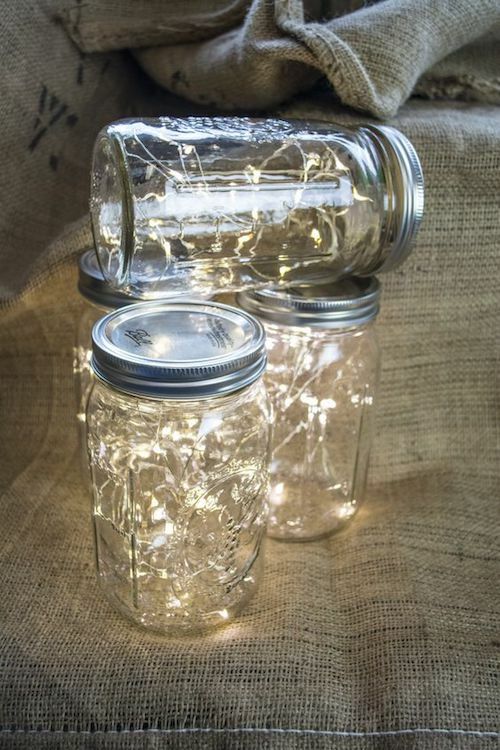 All you need is glue, yarn or rope, and corn starch to create this magical effect. 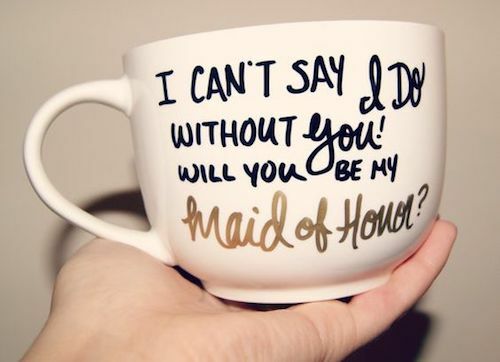 Of course, you could just send your maid of honor a card, but popping the question on a mug is a much cuter, personal, and still very affordable idea. 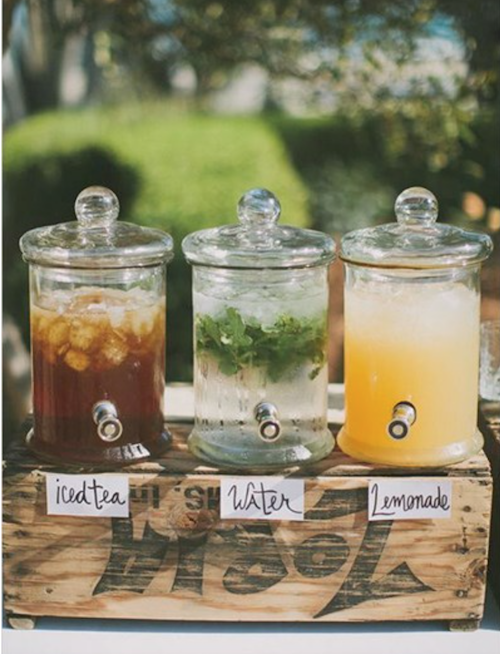 An open bar is one of the things your guests will look forward to most, but it’ll also cost you thousands of dollars. 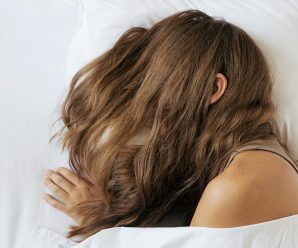 To keep costs down, offer big pitchers with soft drinks throughout the day instead of cans and bottles before offering the more exxy stuff later. 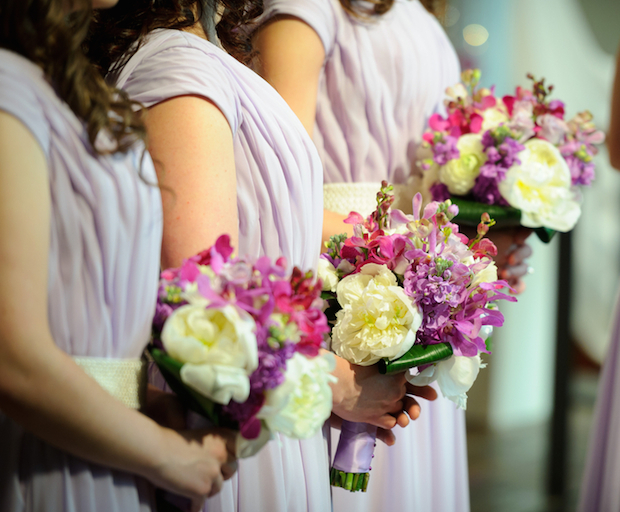 Comment: What’s your best budget wedding tip?